I watched this movie last night in bed (Netflix streaming video and an iPad are a deadly combination). 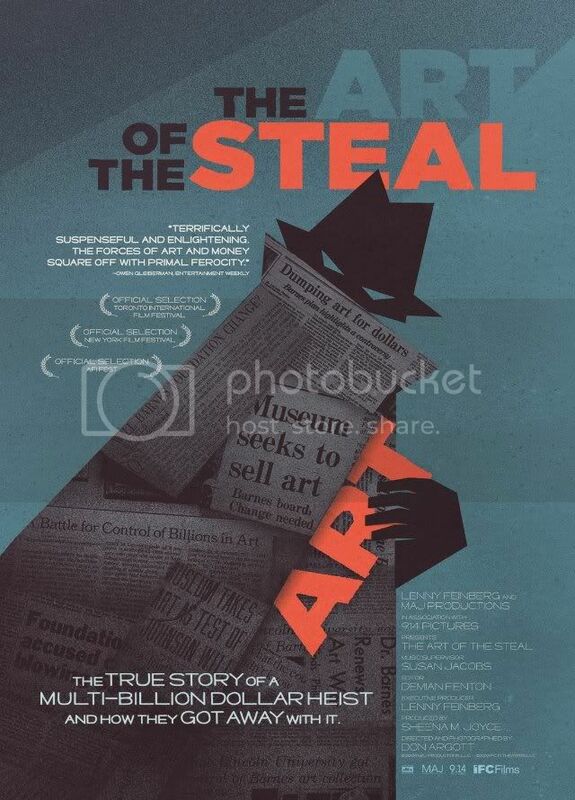 It's a well-made, passionate documentary, and if you want to see how to do a hostile take-over of a non-profit, The Art of the Steal lays it all out for you--and it's not pretty. The basic story is this. Albert Barnes, a pharmaceutical tycoon from Philadelphia, built one of the most amazing personal collections of art in the 20th century. His work consisted largely of paintings by Renoir, Cezanne, Picasso and Matisse. He had a great eye. But he was also a misanthropic egomaniac. Feeling dissed by the Philadelphia downtown establishment (particularly Walter Annenberg), he decided to shun them and build a museum for his collection in the suburb of Merion. This was really just a hop and a skip from downtown Philadelphia, but Barnes also made it very difficult for anyone to see this collection. It was only open to the public a couple of days a week, and you had to write for an appointment to see it. Merion is a well-to-do suburban area, and the Barnes was smack in the middle of a residential neighborhood. Barnes died in 1951, and as this movie explains, the foundation sputtered along for quite a few years following his every whimsical port-mortem wish. But there were people in the world who thought this collection of some of the world's greatest masterpieces should be more accessible. The movie makes clear that these people were bad--they were only interested in the money increased access would bring. Around 1990, they started conspiring. People in municipal and state government, big local foundations like the Pew Charitable Trust, trustees at the Philadelphia Museum of Art (which always envied the Barnes collection), and Walter Annenberg set in motion a long-term plan to take over the board of the Barnes Foundation. They succeeded and managed to get Barnes' will overturned in order to move the collection to downtown Philadelphia, where it will be installed in 2012. Now the tricks they pulled were underhanded. But the problem with the Barnes is that it was not a good institution. The Barnes went out of its way to make it hard to see the art. Many of the talking heads speak of Barnes' vision and the betrayal of that vision. Here's how I see it--Barnes' vision was born of his misanthropy and resentment, and I don't really see why treasures that should be part of the common heritage of mankind should be hidden away just because the rich guy who owned them said so in his will. I look forward in 2012 or 2013 to visiting Philadelphia and checking out the work. I'll gladly be one of those tourists who are sneered at in this movie. But maybe, just maybe, I'll have to go out to Merion to see it. The descendent organization os Barnes' pharma empire, Argyrol Pharmaceuticals, is promising to try to save the Barnes from moving. It seems like too little, too late, but you never know! There have been a number of recent movement on the Barnes moving issue, though I haven't heard the latest. Despite living in the area my whole life, I only just made it to the Barnes a couple months ago. Sadly the whole second floor was closed for some kind of preservation work, but still lots of great work to see. But, the hanging of the work is really obnoxious. 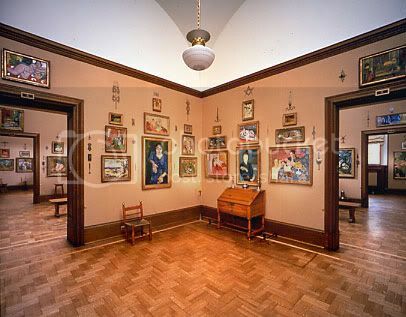 Many of the paintings that I liked best were hung so high I couldn't really look at them, which is a big disappointment. But the weird hanging was part of Dr. Barnes' vision, and must therefore be preserved FOREVER!